The Engineer Hydrocarbon collection is the ultimate personiﬁcation of the BALL Watch identity. It is its iconic hero! Today, the brand has instilled it with renewed vigor. For this youthful makeover, the Research & Development team has applied all its technological expertise, its knowledge of materials and the readability standards inherited from the brand’s founder. Several components have been modiﬁed and improved, including the rotating bezel. It has retained its unidirectional function, its notch calibrated at 30 seconds as well as its virile and robust design. However, it has been made slightly wider and ﬂatter making it much easier to manipulate even when wearing gloves. Loyal to its easy night reading function, BALL Watch has equipped the Hydrocarbon bezel with an H3 marker inserted in a protective container at 12 o’clock. Further, the graduation from 0 to 14, along with the digits 15, 30 and 45 all have very powerful luminescent paint emitting a blue glow. The triple folding clasp and its extension, patented by BALL Watch, is a pure distillation of innovation. 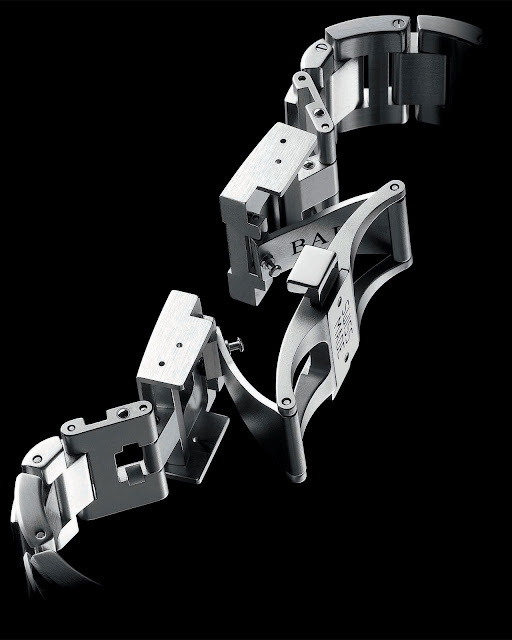 To improve the strength and durability of this clasp, it is machined from a single block of 316L stainless steel. To ensure optimum ergonomics, the clasp’s balance is perfect and the unfolding components are spread evenly under their cover; and a 22-millimeter extension system has been added on both sides of the bracelet so that the watch can be worn over sports gear. Opening and closing operations can be performed single-handedly. The clasp operates with a robust locking mechanism enabling it to withstand extreme traction forces when in the closed position. The crowning technical touch in this watch is its chronometer-certiﬁ ed ETA 2836 movement, with day and date calendar, delivering extreme precision. The BALL Watch Engineer Hydrocarbon exudes unrivalled character that transforms its wearer into an unmistakable hero. It goes where he goes, cleaved to his wrist, leaving all others in its wake! Its ergonomic design means the wearer can forget about it and just focus all his attention on his current mission. The BALL Watch ambassador Brian Binnie, former US Navy pilot and astronaut, is well placed to report back on this particular point. It was this watch that he chose to accompany him out where gravity loses its hold, into inﬁ nite space where the earth is just a panorama separated from the immense blackness by a blue ribbon. Out there, Brian Binnie found the ultimate freedom. 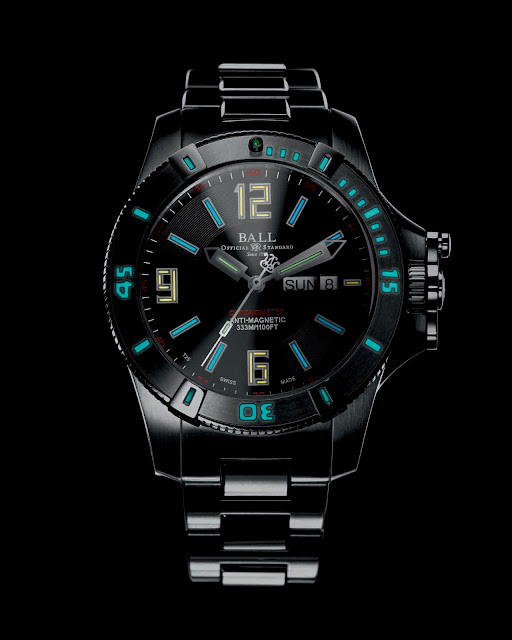 BALL Watch is proud to be associated with the greatest of human endeavors and pays homage to this expedition by equipping the dial of the Spacemaster model with luminescent gas tubes emitting a blue glow.